DTU Result 2018 has been released. Students can check Delhi Technological University Results from this page. 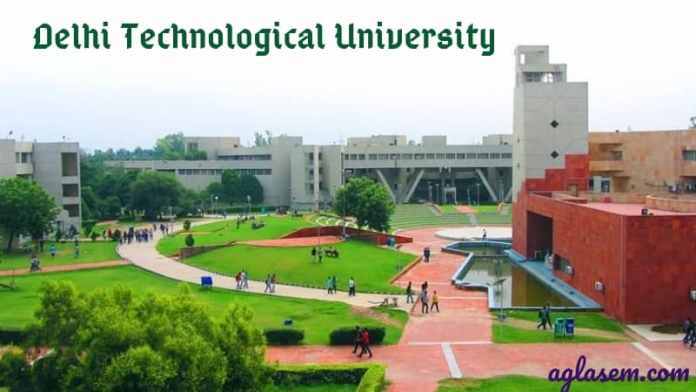 Delhi Technological University has released the result of the examination conducted in the month of December 2018. DTU Results is available in PDF format. Students can check DTU Results 2018 for the grade, total credit, SGPA, and result status pass or fail. A student shall be considered as a pass if he/she scores the minimum qualifying marks required to pass in the exam. The sessional mark sheet students need to contact the concerned teacher/HOD. The qualifying students will be promoted to the next semester. The final year students clearing all the paper of the course opted during the admission shall be considered eligible for the degree certificate. Check the page DTU Results 2018. Latest: Delhi Technological University has released the Discrepancy Result of M.Tech Exam Dec 2018. Delhi Technological University releases the semester exam result online on the official website. The University conducts the examination twice in a year in semester mode. The semester exams are conducted in the months of May and December. To appear in the semester exam students must maintain their attendance and academic record. Check the table for Delhi Technological University Results. Notification: Click here to check the Notification regarding improvement in the Grading System. How to Check DTU Results 2018? Students can check DTU Result online by accessing the official website of the university. Students can refer the link provided in the table. Follow the steps provided below and check the DTU Result. Note: Any discrepancy in the Roll No/Student Name/Registration students should contact the Dean(Academic) /OIC(Evening) on prescribed proforma within the 15 days of the notice. The Result released online is just for the immediate information. Students can only check the total SGPA online. The detailed marks sheet of the sessional exam can be obtained from the university. Students need to contact the concerned teacher/ HOD for DTU Mark Sheet. After the declaration of the result can opt for the re-evaluation of answer script. The student eligible for applying for re-evaluation can submit the application form. The re-evaluation form must be submitted within the prescribed date to the concerned person. No application form shall be accepted after the last date. The students can contact the teacher/HOD for the information. The University will release the re-evaluation result online. After the re-evaluation, if there is any correction then the new marks will be added for the concerned paper.